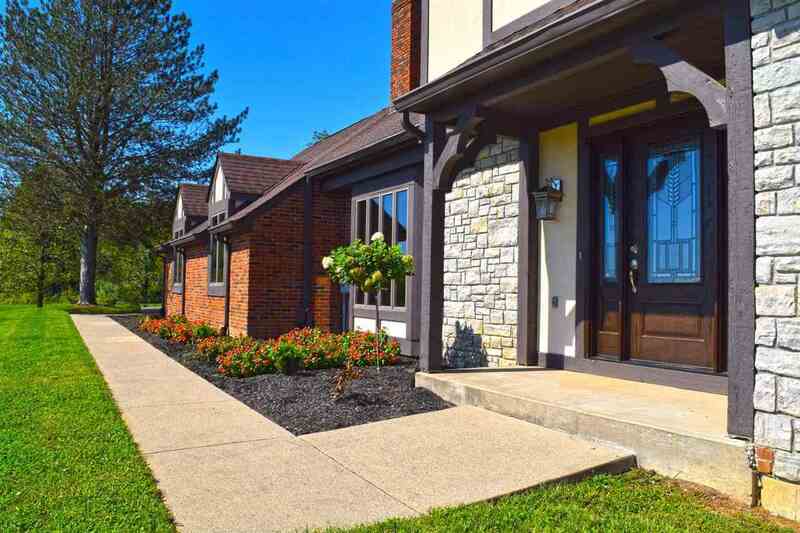 Gorgeous Tudor features 3 bedrooms, 2.5 baths with stellar views. First floor has all new hardwood flooring, new kitchen with stainless steel appliances, new light fixtures. First floor laundry. Oversized 2 car garage. Enjoy covered patio and all natural wildlife, short walk to fishing or outdoor exploration. Master bedroom could host sitting area and master bath has been completely remodeled with walk in shower and soaker tub, dual sink, easy escape from the day. 2 fireplaces. Basement just awaiting your finishing touches. All on over 5 lush acres. Directions: Burlington Pike - 18 Past The Courthouse To R On 20 Approx 3 Miles To Community On R Or 275 To Petersburg Exit Keep Straight Also Approx 3 Miles To Community On L.